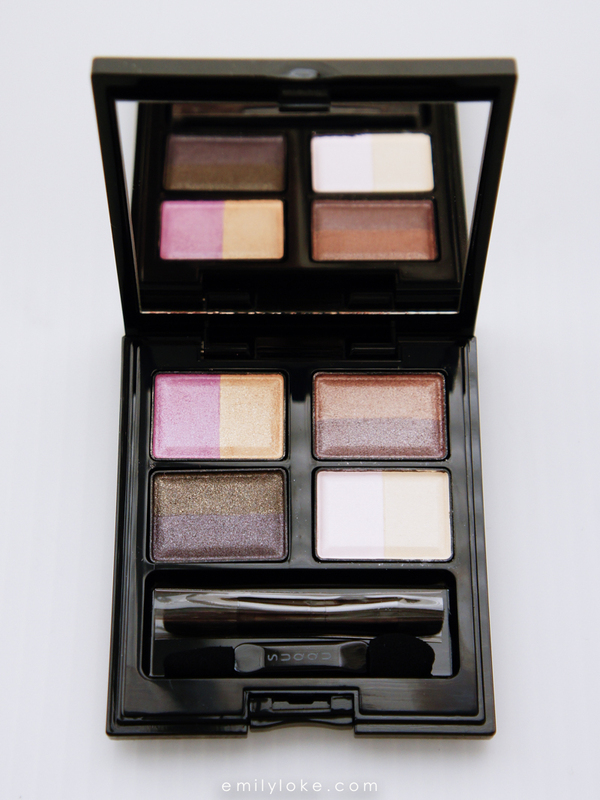 This quad has been on my lust-list ever since I discovered SUQQU earlier this year. 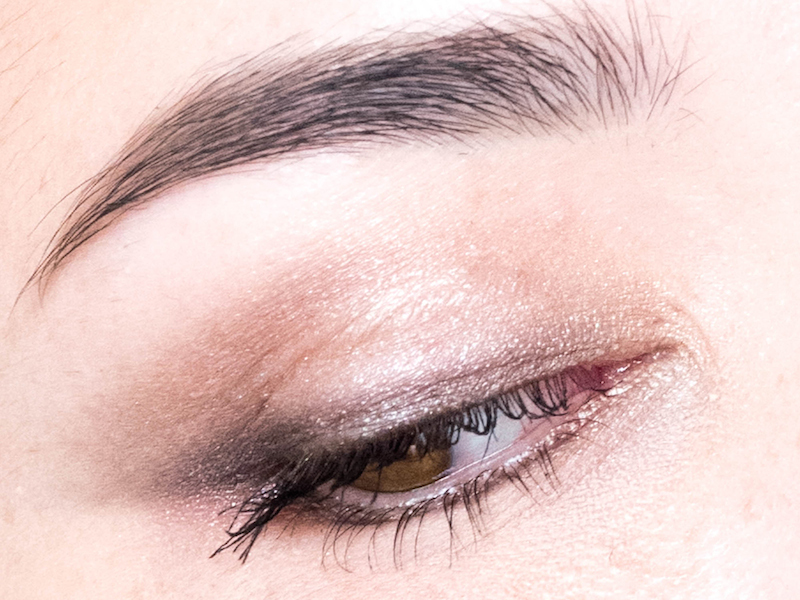 It’s actually a limited edition palette from the 2014 fall/winter collection, but (by some miracle!) still available here. It’s particularly unique because instead of the usual 4 or 5 colours, it has 8…or even 12, if you count each colour separately as well as mixed together. 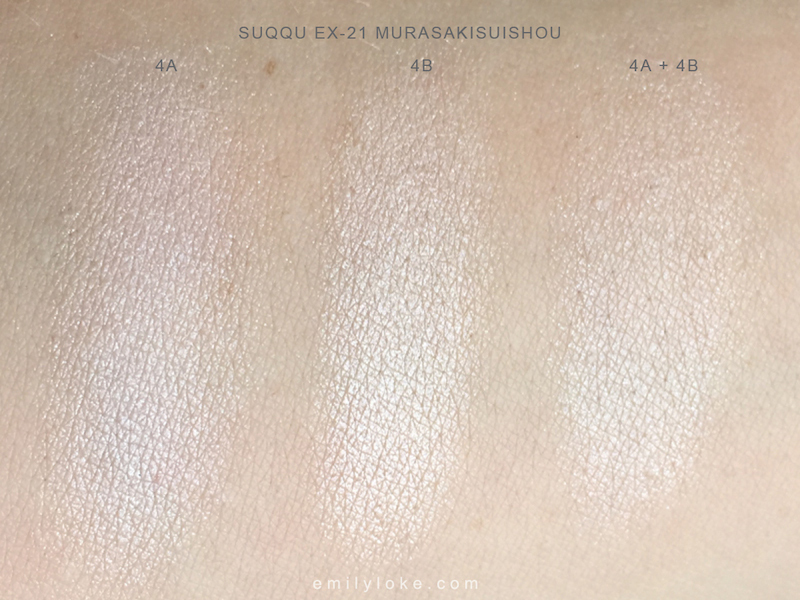 To be honest, most of the shades are quite sheer and vary only slightly from their split-pan counterpart. As such, it’s more helpful to think of this palette as 4 different shades that are slightly customisable in tone, rather than 8 distinctly different colours. 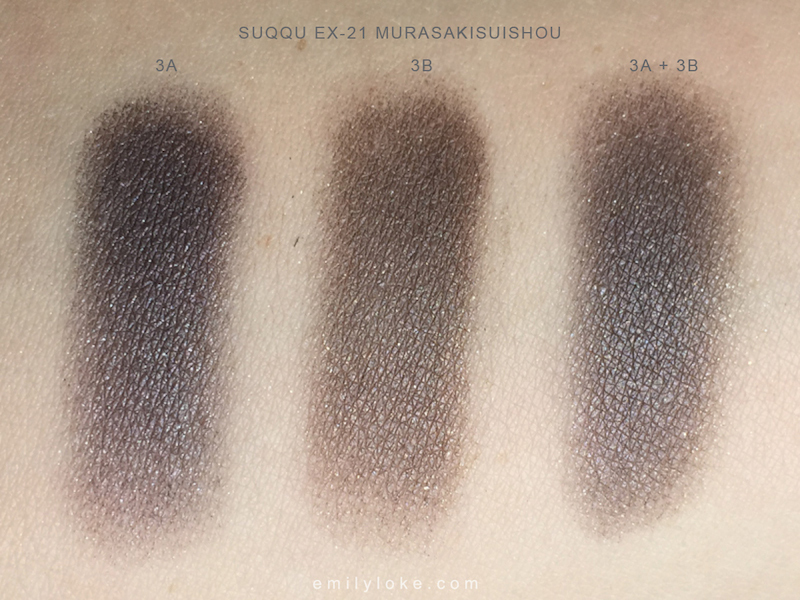 Here are some swatches of the colours, L-R and top to bottom. 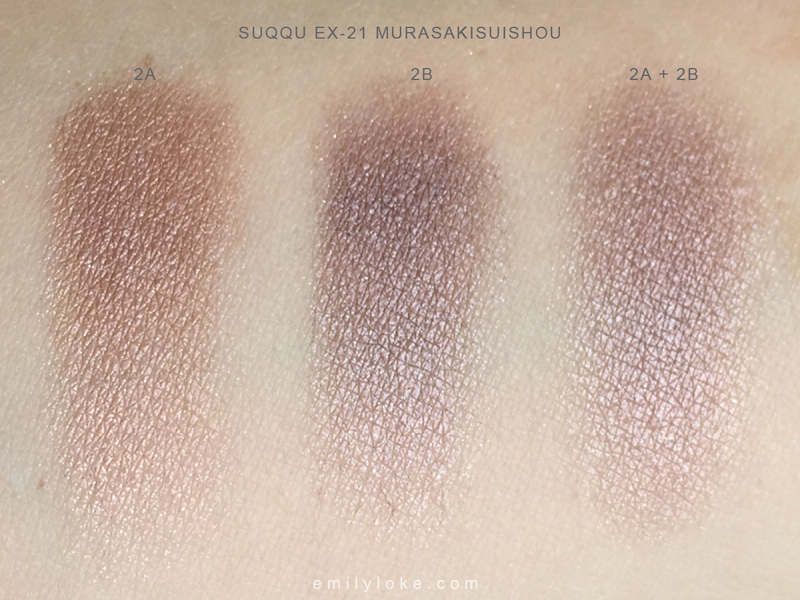 If you look solely at the last column of colours (where I’ve mixed both shades in each pan together), you’ll see that the 4 “actual” shades in this palette are a peachy rose gold, a rosy taupe, an olive grey and a light ivory. 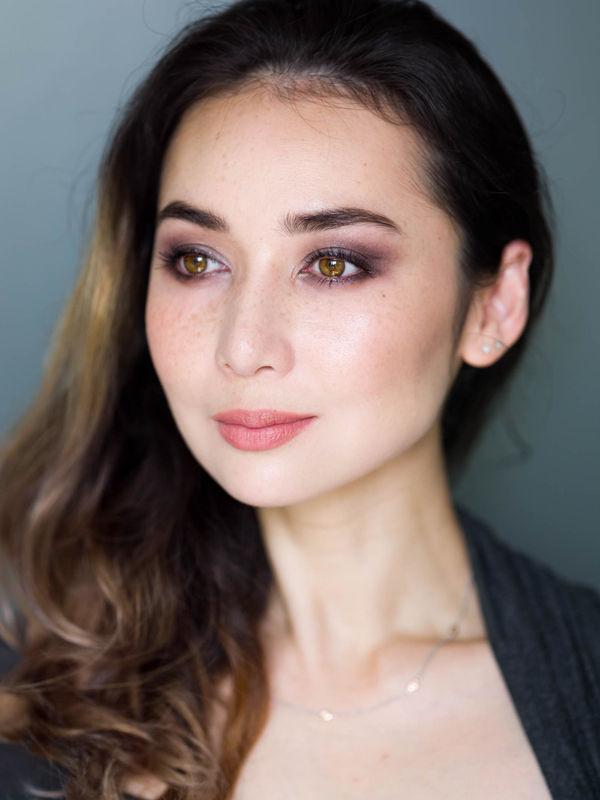 While you can certainly coax a slightly brighter purple-toned look from this quad, in my opinion it’s much more of a joy to use as a neutral palette. Either way, you’ll probably need to use smaller brushes than normal – pencil brushes like this one are your friend if you intend to use the 8 shades in this quad independently. Or, just use the applicators that come in the case! They’re of excellent quality for freebie brushes and the perfect size for the job. 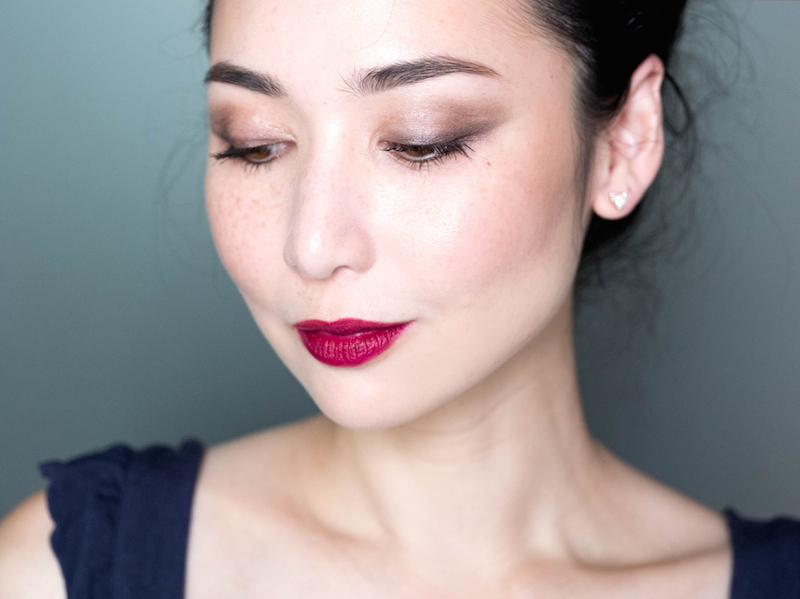 I generally prefer my SUQQU looks to be a bit hazy and imprecise, but I decided to go with a soft winged shape this time and really liked how it turned out. 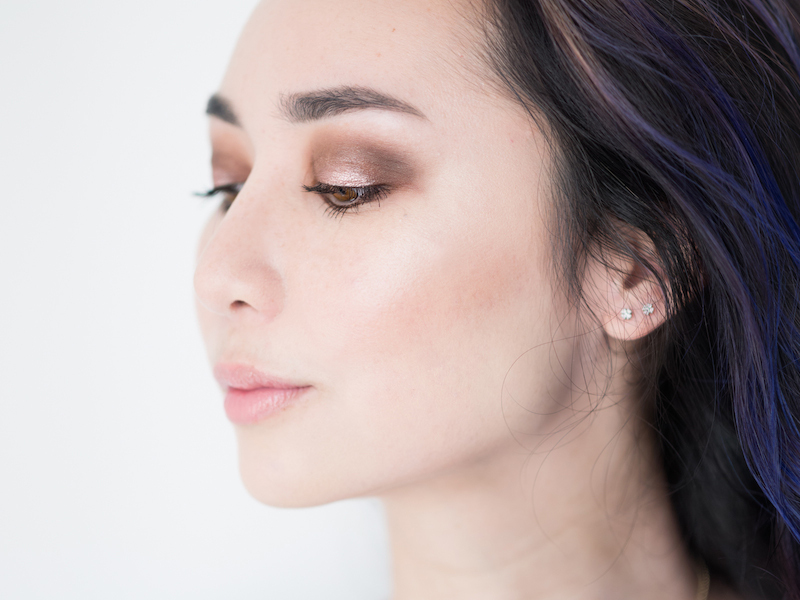 For this look I used #1A+B all over my lid, #3A as a soft winged liner, #2B in the crease, #3A+B to blend out the edges and a dab of #1B in the inner corners. You can see the winged shape a little better in these photos. 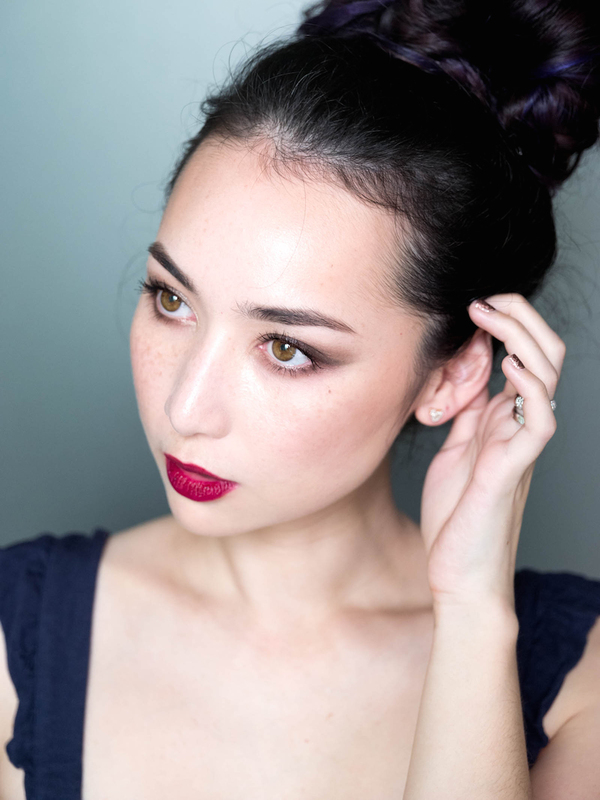 The neutral tones were a good foil for bold berry lips, so much so that I can already see this becoming the basis of my go-to holiday look. 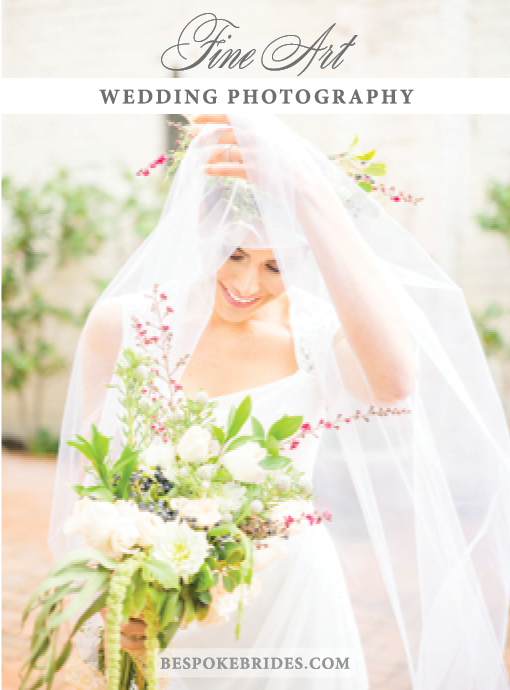 I’m so happy to finally be crossing this off my wish list. I might get brave and try a brighter look with it next, but overall I’m quite delighted that it’s a neutral quad in colourful camouflage. 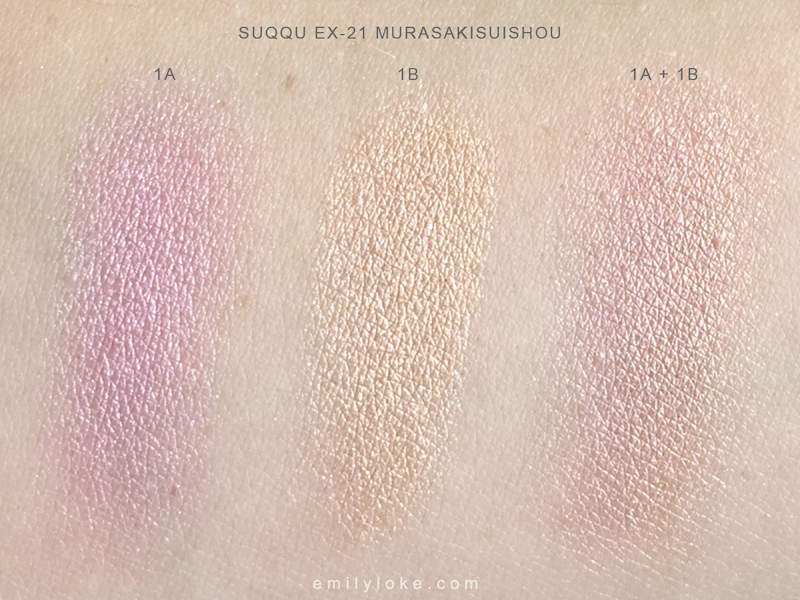 It reminds me of my beloved SUQQU #19, which would be unwearable on me if it showed up true to pan but thankfully is actually a magical taupe in disguise! 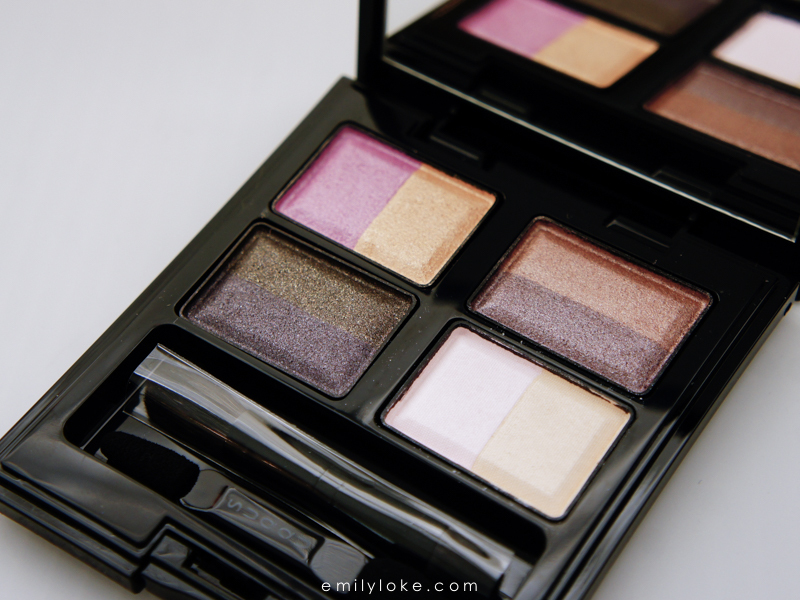 This is a really interesting palette! I have enough neutral tones to last me a lifetime (not that that will stop me from buying more but you know). 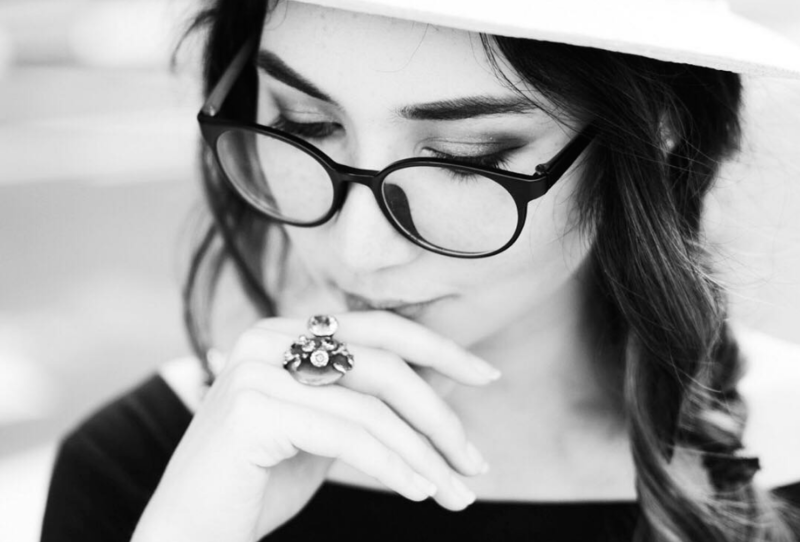 This is a lovely holiday look!